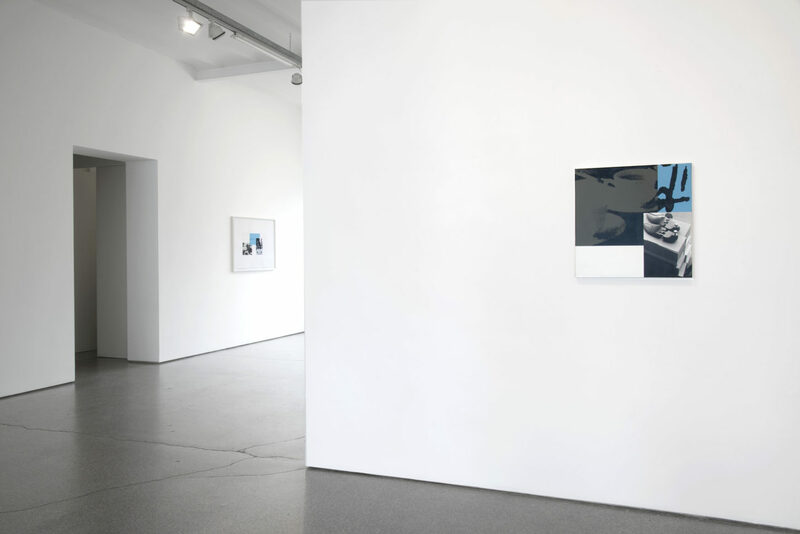 Ian Wallace’s (1943, Shoreham, UK) fourth solo show in Gallery Greta Meert is dedicated to his Tropismes series (1995 to 1996). 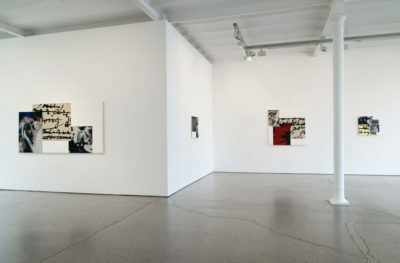 For this unique exhibition nearly all the original works of the series have been reunited. They are presented together with several studies and notes. 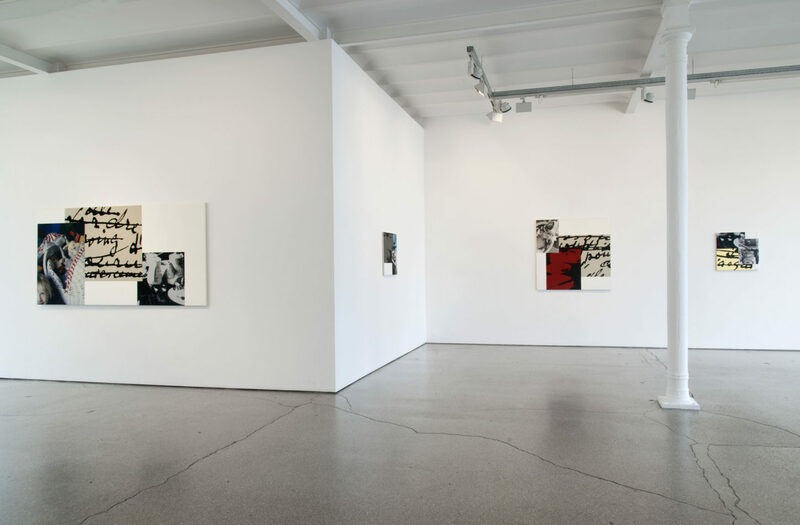 On the occasion of this exhibition, the Greta Meert Gallery has published a special edition of the series. Tropismes by Ian Wallace consists of sixteen canvases which have the text Tropismes by Nathalie Sarraute (Russia, 1900 – Paris, 1999) as a point of departure. 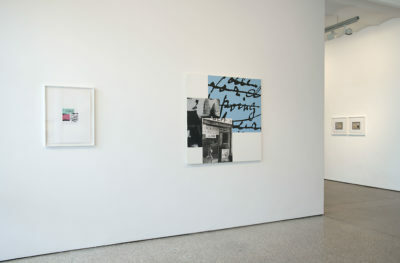 The canvases are painted white and the monochrome carries three images that overlap to varying degrees: a black-and-white photograph of an anonymous scene from the streets of Paris; a faded photograph of a tea set (in effect, a photocopy of a newspaper interview with a photograph of Sarraute in Le Monde); and finally, a serigraphed detail of handwritten script enlarged so that the words become scarcely legible. When Nathalie Sarraute’s Tropismes first appeared in 1939, it was applauded by Jean-Paul Sartre (Paris, 1905-1980), amongst others, for its revolutionary narrative structure and analytical, psychological way of writing. Its twenty-four short texts describe independent scenes or events in which the characters remain nameless and no further information is mentioned about their past, activities, origin, or future. Yet, what they are experiencing, thinking, saying or doing at a single particular moment is described in minute detail. It can be said that Sarraute has attempted to write a sort of literature that aimed to comply with the facts and rules of life and its true experience, rather than of the literary genre. 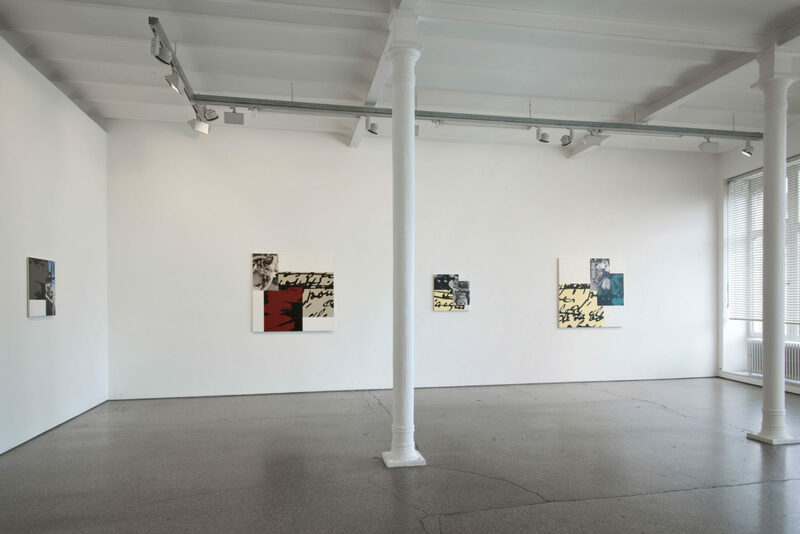 Tropismes by Ian Wallace is a further experimental attempt to render this translation process visible by converting it into the language of visual art. 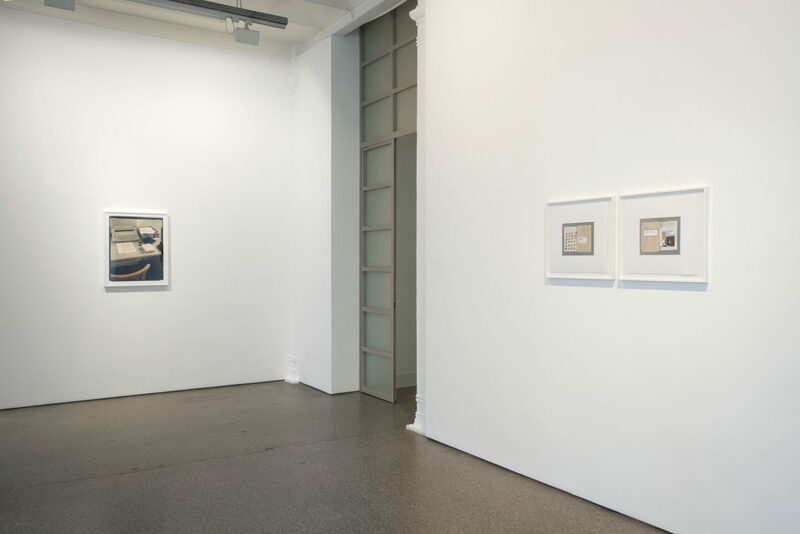 Wallace has explicitly investigated the relationship between image and text at other stages in his oeuvre, and, implicitly, his oeuvre as a whole examines the ways images can create something in our consciousness, in the same complex manner as texts do. The battle for knowledge, understanding and meaning, which in the modern world is unceasingly fought by texts and images, is continuously foregrounded. 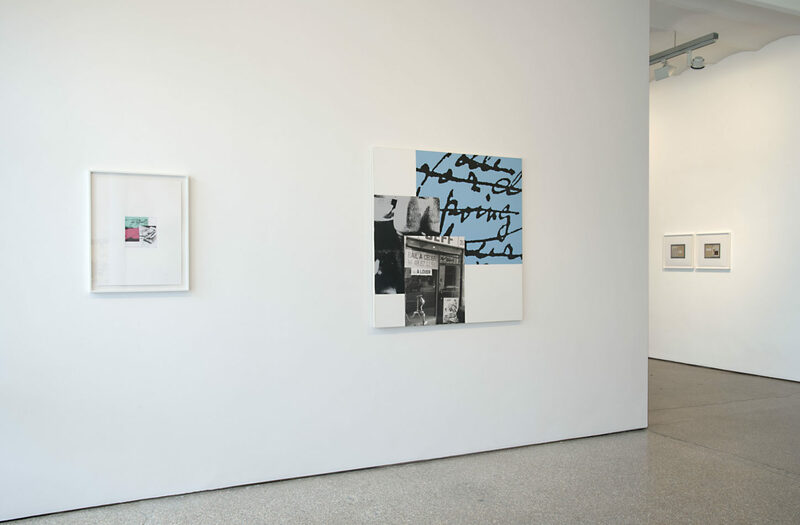 Ian Wallace is a major artist of the ‘Vancouver School’, an innovative movement in photography that started in the 1980s. He has lectured at the University of British Columbia, where he counted Stan Douglas, Rodney Graham, Ken Lum and Jeff Wall amongst his students, and at the Vancouver School of Art. His works are in important private and public collections, such as the MOMA, New York and the MOCA, Los Angeles. 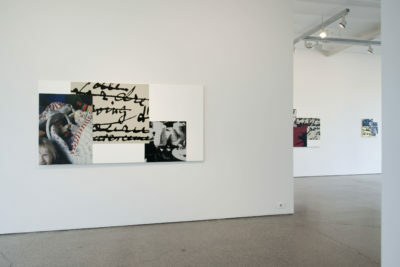 In 2008 an extensive exhibition of his work travelled from the Kunstverein, Düsseldorf to Witte de With, Rotterdam and Kunsthalle, Zürich. This fall the Vancouver Art Gallery will organise a retrospective exhibtion of his work.